Edward Gallagher, a decorated Navy veteran, has pleaded not guilty to multiple charges of war crimes while serving in Iraq. Gallagher entered his plea at an arraignment Friday at Naval Base San Diego. 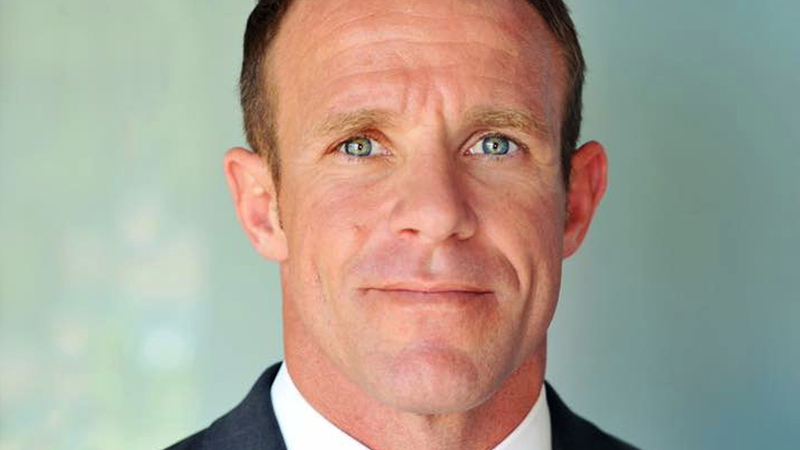 Military prosecutors say Gallagher, a Navy SEAL, was on his eighth tour of duty, serving in Mosul, Iraq, in 2017 when he snapped. They accuse Gallagher of indiscriminately shooting at Iraqi civilians and stabbing to death a captured Islamic State teenage fighter while a U.S. medic was working to save his life. After killing the Islamic State fighter, prosecutors allege, Gallagher took photos of himself with the corpse. Gallagher is accused of shooting an elderly man carrying a water jug in Mosul in June 2017 and a girl walking in the same area a month later. Investigators say some SEALs were so concerned about Gallagher’s actions that they tampered with his rifle to make it less accurate. During his previous tours of duty, Gallagher was awarded the Bronze Star twice. If convicted, the 19-year Navy veteran faces life in prison. The military court Friday scheduled Gallagher’s trial to begin on Feb. 19. Authorities say a decision will be made next week on whetherGallagher can be released from prison ahead of his trial. An attorney for Gallagher has said his client is being falsely accused by disgruntled SEALs who wanted to get rid of a demanding platoon leader.